Editor’s note: There’s an outstanding lineup of speakers on tap for the South Dakota Corn Growers Association’s 33rd annual meeting, which will be held Jan. 19, 2019, in Sioux Falls. Each month, we’ll profile one of them. In this edition, we talked with John Killefer, who will be the lunch speaker. 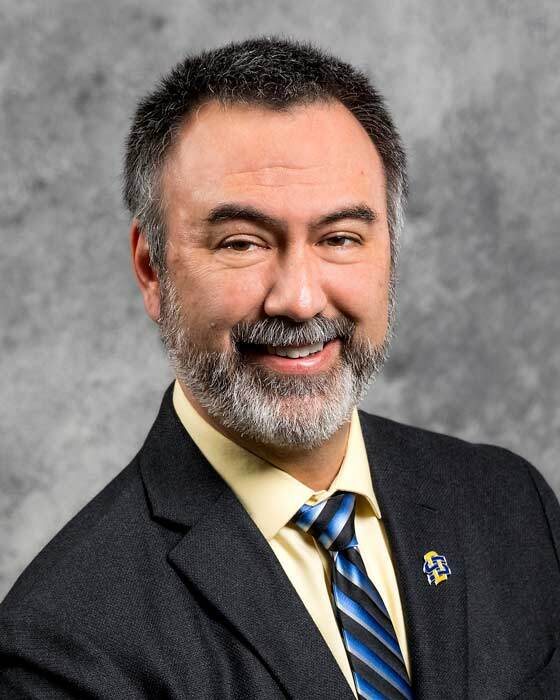 John Killefer’s title is a mouthful: South Dakota Corn Utilization Council endowed dean of the College of Agriculture, Food and Environmental Sciences (CAFES) at South Dakota State University. Killefer stepped into that role last spring, hired away from Oregon State University after a national search. As dean, he oversees about 600 faculty and staff members throughout the college, including SDSU Extension and experiment stations. The college, which offers 20 bachelor’s degrees and one associate’s degree, has about 2,000 undergraduate students and 250 graduate students. Killefer said society’s expectations for agriculture have never been greater than they are today and his vision for CAFES reflects that. One exciting addition that will help SDSU meet future challenges is the Raven Precision Agriculture Center that will be constructed on campus and open in fall of 2021. Killefer said that project wouldn’t be possible without the support of many groups, and noted that South Dakota Corn and Raven were instrumental in making this a reality. The center will provide a unique learning environment for students and expose them to the latest technologies. It will also bring together faculty from multiple disciplines so they can use their diverse expertise to address complex problems faced by the agriculture industry. There will also be space for industry partners. There are many other exciting things going on in the college, Killefer said. Those include expansions of capacity at experiment stations, including land acquisitions so field trials can be expanded, particularly for precision ag research. At the West River Ag Center, a new building recently was purchased to allow Extension and the experiment station to be together under one roof. The university also is working to get a rural veterinary medical education program fully developed and approved. Under the program, students would attend SDSU for two years, then the University of Minnesota for two years to get a doctor of veterinary medicine degree. Killefer said the goals of that program are to train more large-animal practitioners to support the growing livestock industry and to reduce the cost of veterinary education for students—by as much as $100,000. Killefer has a wide range of experience. At Oregon State, he was a professor and head of animal and rangeland sciences. He also completed construction on three facilities and numerous renovations to other facilities. He established approximately $3.5 million in endowments to support teaching and research, in addition to support for livestock farms and educational opportunities in cattle production. An accomplished researcher, Killefer’s programs have secured more than $6.3 million from both federal and industry sources. Killefer’s previous experience included nearly 10 years at the University of Illinois at Urbana-Champaign where he was an associate professor and later professor. He was an assistant professor and associate professor at West Virginia from 1994-2002. He earned his bachelor’s degree in biological sciences at Hastings College in Nebraska and his Ph.D. in animal science with an emphasis in growth and development at Oregon State. He said he’s excited to be at SDSU now and is grateful for the strong support from all stakeholders.